Editor note: The authors of this note, are prestigious journalists who develop their activity in the aviation world, focusing in the military as well as civil Argentine aeronautical. Their articles and photos, which have surrounded the world, are the result of thousands of hours of serious research and investigation, using the vast knowledge of the aeronautical resources, files and more than 35.000 own photos. Modeler Site is proud of having a so value reference like this, mainly signed by both, Mr. Juan C. Cicalesi and Santiago Rivas. We send them our gratefulness for honoring us with their contribution. The twenty-two AMD-BA Mirage IIIB/C units of the Argentina Air Force, along with the ten ex-Peruvian Mirage 5P and the two ex-French Mirage IIIBE, replaced those combat planes lost during the South Atlantic conflict. 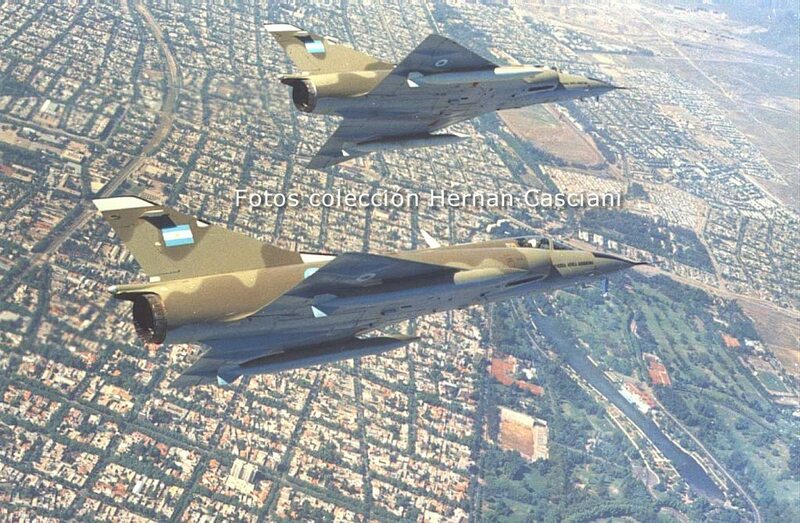 These planes, veterans of the Six Days War and Yom Kippur, demonstrated that, in spite of the losses, Argentina had completely recovered its air combat capacity just a few months after the end of the war. On December 18, 1982, the ELMA San Martín ship arrived at the port of Buenos Aires carrying the C-701, 702, 703, 705, 708, 720 y 722 planes. These planes, as well as others that arrived later, carried their Peruvian badges with the only purpose of concealing their true origin. They were transported by surface to the Jorge Newbery Airport. Once there, inside the hangar belonging to "Austral Air Lines", technicians removed the brown film that protected them for their transportation by sea, assembled them, loaded hydraulic liquid, oil and other fluids and tested all engines, undercarriages, as well as all systems and parts of the planes. 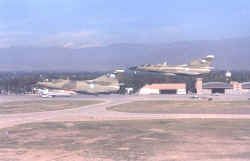 If all security parameters proved to be adequate, these planes were subsequently sent in flight to the "Área de Material Río IV" (Material zone in Río IV) in Corboba in order to be put in service. The second shipment arrived on board the ELMA Tucumán ship on February 1, 1983, with the C-704, 706, 707, 709, 713, 717 y 721. The third shipment arrived on the ELMA San Martín on March 29th with the C-710, 711, 712, 714, 716, 719 y 719. In Israel, before to be delivery to Argentina. Please notice the Peruvian badges. 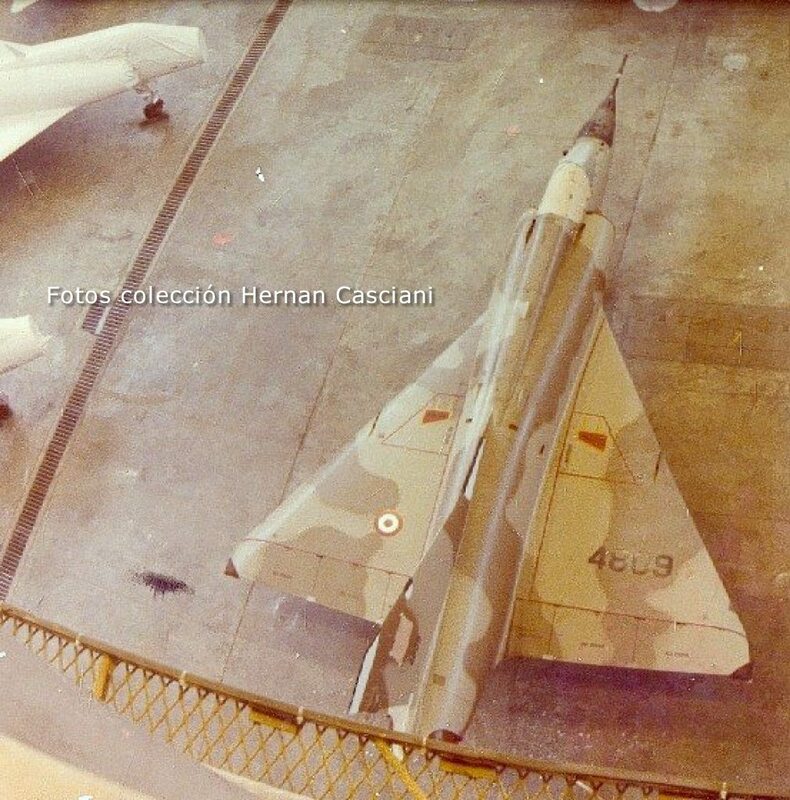 Although the original idea was to use these planes as spare parts, the Mirage units underwent an inspection in Río Cuarto where there were discovered some shots received in combat. They also carried sand and the wiring was damaged; however their structure was in good condition. Therefore, the decision was made to repair them completely and put them back in service. The job started immediately but took a while, due to the condition of the materials. In 1983, the test flights began. The main problem encountered during these tests was the bad condition of the wiring system. The HF equipment were replaced and VOR, ILS, ADF, DME and two VHF were added. Although they already possessed the Cyrano radar, it was never put in service because it was too old. 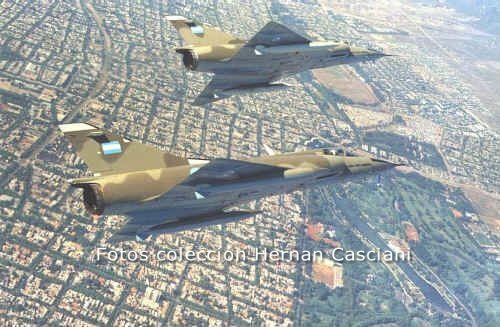 The Air Force was planning to form two squadrons with these planes: one at the IV Air Brigade in Mendoza and another one at the Military Air Base in Rio Gallegos, in southern Argentina. 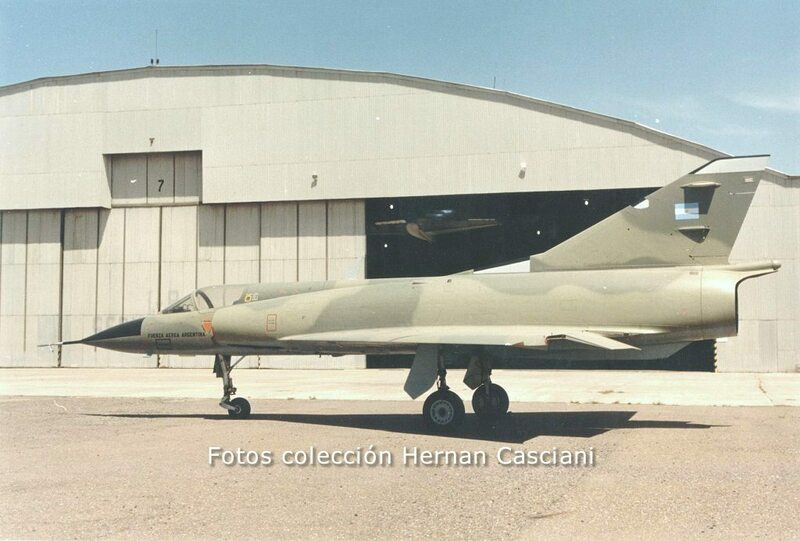 For this reason, in 1983 several mechanics belonging to the IV Air Brigade were sent to the VI Air Brigade in Tandil, Buenos Aires, where the IAI M5 Dagger units were operating, in order to attend some technical courses on the Mirage and the Atar 9C engine. 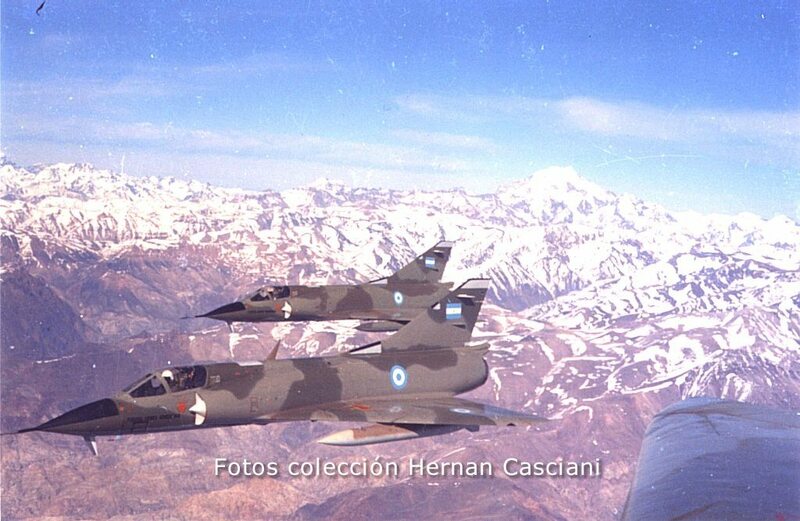 Meanwhile, on February 26, 1984 the X Fighter Squadron was created (called Cruz y Fierro, later known as "Los Guerreros del Hielo") as well as the X Air Brigade in Rio Gallegos. In 1984, personnel from this squadron flew to Río Gallegos in order to test these planes and on March 16th the C-702, 703, 704, 706 y 707 arrived in Rio Gallegos at 16.15 hrs. 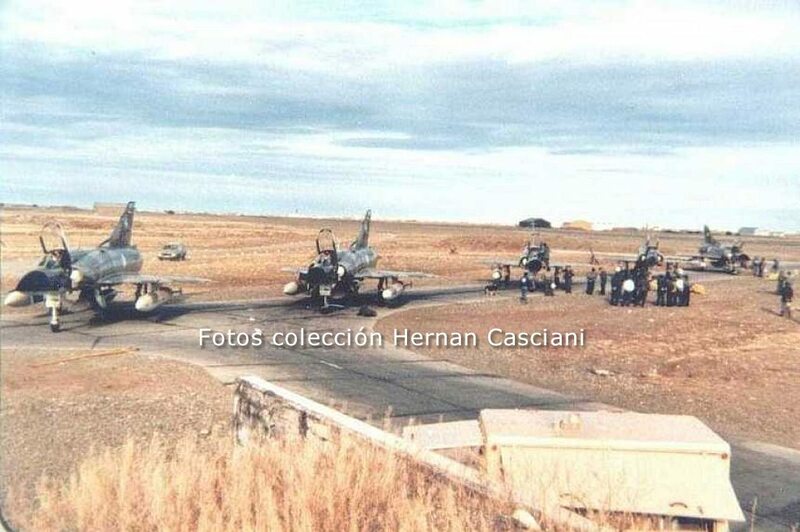 They made the ferry flight with 1300 lt tanks from that base to Río Gallegos, with a stopover at Trelew. 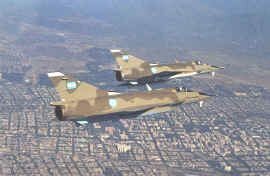 On March 19th the Brigade was officially inaugurated, with a demonstration by all five Mirage IIIC. Immediately afterwards, the training process began with flights over the southern area of Patagonia, Los Andes, South Atlantic and Tierra del Fuego, confronting adverse weather conditions and in the hottest geopolitical area in Argentina, with the British in Malvinas after the end of the war, and Chile on the other side of the Andes Mountains, with whom there was a tense climate especially after the events of 1978 and the support given by this country to the British during the war. 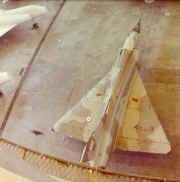 For this reason, it was not at all strange to see the Mirage units flying over the Andes or the Continental Ice, cross the canals in Tierra del Fuego in flight close to the level of the ground, or patrolling the high seas. 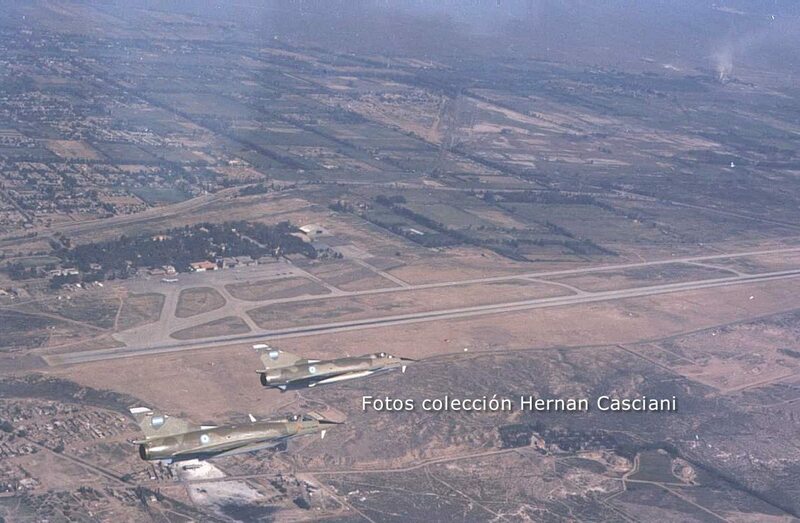 In addition to these training missions, which also served to demonstrate that Argentina was still present in that area, some shooting and bombing exercises were performed, first at the shooting filed at the base and then with war armament at the Piedrabuena shooting field, belonging to the Argentine Army. While the M-IIIC units of the X Squadron were operating in the cold Patagonia, in February 1984, the IV Air Brigade belonging to the 55 Squadron was created. 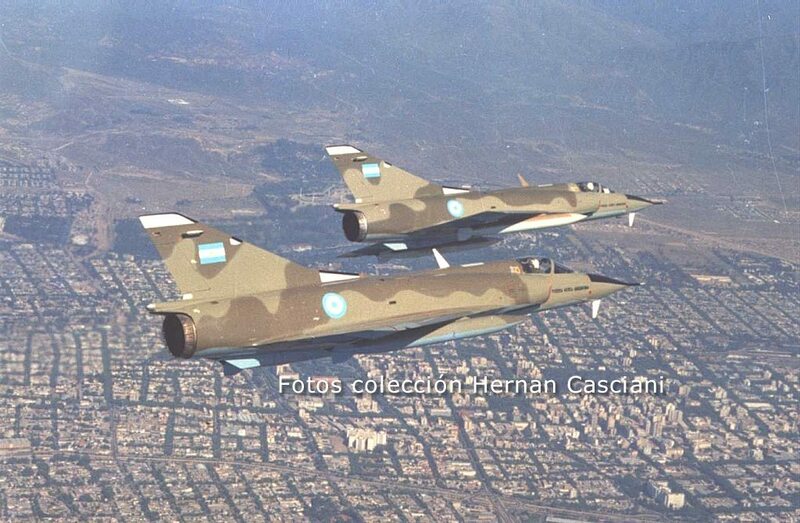 This squadron was named after the 55 men of the Argentine Air Force who lost their lives in the Malvinas war. It would share the brigade with the North American F-86F Sabre which still survived, the Morane Saulnier MS-760 Paris and the Aerospatiale SA-315 Lama. 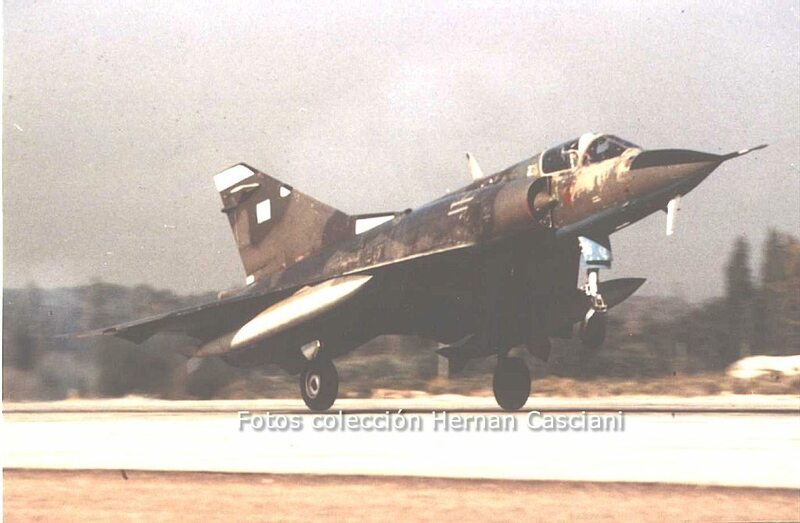 The chief of this brigade was Comodoro Claudio Correa and all the pilots selected to fly these new planes had previous experience with Mirage planes. The test flights started immediately in Río IV. Delivery of these planes was delayed due to problems related with their putting into operation. On October 17, 1984, the C-710, C-708, C-721, and the C-722 took off at 6 pm from Río Cuarto headed for their new base in Mendoza, but the undercarriage of the C-722 would not come up and had to come back. Upon the arrival of these planes in Mendoza, something curious happened. On that same day the Peronist Party was celebrating its day, therefore there were some celebrations in the city. 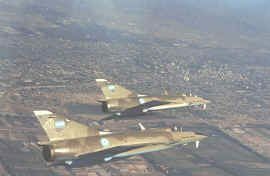 And these Mirage units, before taking on, decided to salute the city with a flight at a low height which was understood by those celebrating as an adherence of the Air Force to the Peronist Party. In November the C-722 made a new try to fly to Mendoza, but this was achieved on its second try, on November 28th. Shortly afterwards the C-715 followed. Once the squadron was in operation with the presence of these planes, the training of eight new pilots started. During that year the 55 Squadron flew 1200 hours and the Squadron X accomplished 800 flight hours. The plan for 1985 was reduced to 1000 and 650 hours respectively due to budgetary cuts.